Model # 2 Putter, Brass Bullseye: Our signature putter, TPD engraved on the sole. Great balance, Top Winn Putting grip. It works great ! Available std. 35 inch also 33 & 34. $54.00 Plus shipping. A great Monthly Calendar & 12 great Professional Putting Tips, one for each month on the Golf Year! 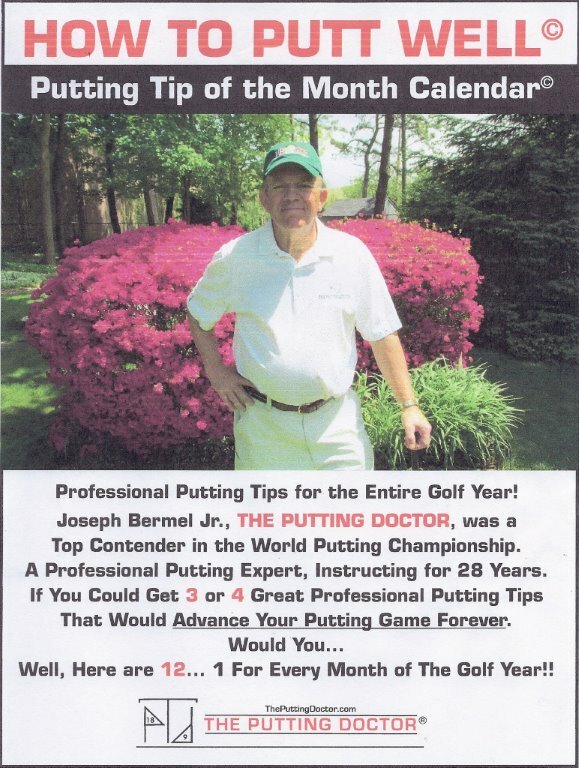 Exclusively from The Putting Doctor, Joseph Bermel Jr., a top contender, World Putting Championships. 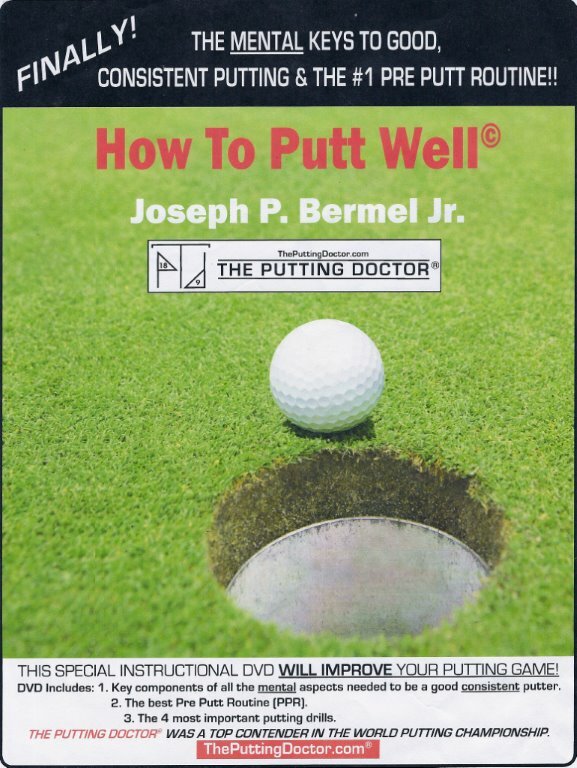 A putting expert, instruction for 28 years. A. A balanced putter B. #1 WINN Putting Grip C. Great visual at address. White sweet spot,contrast with a black head. 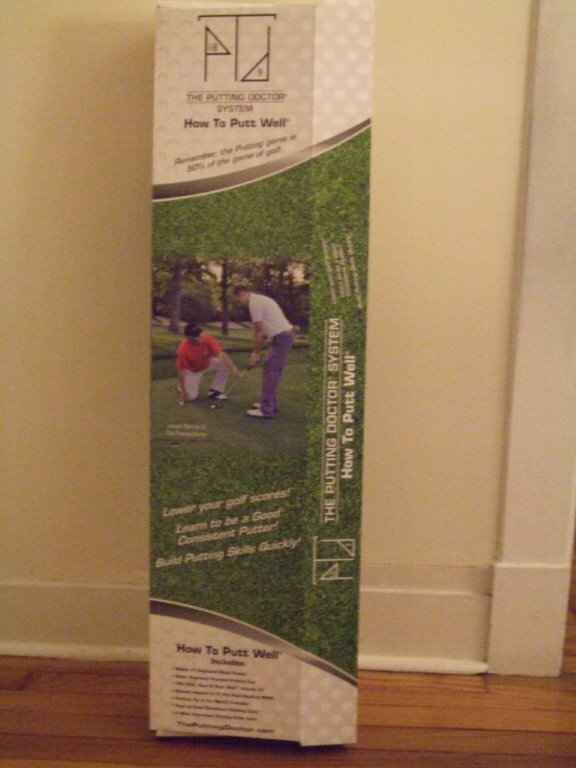 D. Proper overall weight E. Cost - $64.00 F. Plus shipping This putter works great! Special Edition DVD "HOW TO PUTT WELL"
Model # 2 Putter, Brass Bullseye: Our signature putter, TPD engraved on the sole. Great balance, Top Winn Putting grip. It works great ! Available std. 35 inch shaft, also 33 & 34 inch . $54.00. Plus shipping.